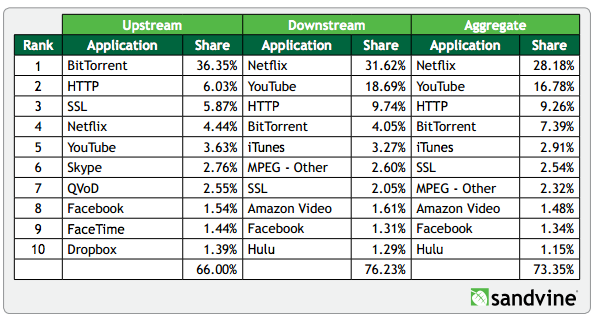 A typical ISP would see this relative usage of its bandwidth. You can be assured everyone on this list is a huge net neutrality supporter. Essentially, Google wanted to force ISP's to be common carriers, to be legally required to carry all traffic equally, even if certain traffic (like Google's Youtube) is about a million times more expensive to serve than other people's content. But the point of this story is not about my issues with Net Neutrality. The point of this story is Karma, or as we used to say it in the South, what "goes around, comes around." The European Union’s antitrust watchdog in the coming weeks is set to hit Alphabet Inc.’s Google with a record fine for manipulating its search results to favor its own comparison-shopping service, according to people familiar with the matter. The penalty against Google is expected to top the EU’s previous record fine levied on a company allegedly abusing its dominance: €1.06 billion (about $1.18 billion) against Intel Corp.in 2009. The fine could reach as high as 10% of the company’s yearly revenue, which stood at $90.27 billion last year. But more painful to Google than a sizable fine could be other consequences that come with the European Commission’s decision, including changes not only to the tech giant’s business practices with its shopping service but with other services as well. The EU’s decision could also embolden private litigants to seek compensation for damages at national courts. The EU is likely to demand Google treat its own comparison shopping service equally with those of its competitors, such as Foundem.co.uk and Kelkoo.com Ltd., possibly requiring the search giant to make rival services more visible on its own platform than they are at present. Such companies rely on traffic to their site from search engines like Google’s.